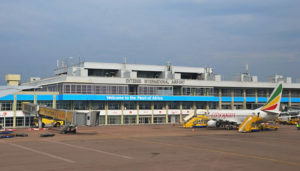 ENTEBBE – Civil Aviation Authority (CAA) and Entebbe International Airport were recently awarded the prestigious ISO 9001:2015 Quality Management Systems (QMS) Certificate. The certificate follows compliance with stringent requirements of the standard by the United Kingdom Accreditation Service. The ISO 9001:2015 certification standard is a transition from the ISO 9001:2008 standard that was attained by CAA and Entebbe International Airport in 2016. It relates to the provision of aeronautical services within the Flight Information Region of Uganda to include regulation, licensing, air navigation services, search and rescue, certification of air operators, operation and maintenance of aerodromes, security and corporate support services. CAA Uganda now joins Kenya and Tanzania among the three African countries to attain the ISO 9001:2015 QMS certification. The International Civil Aviation Organization set a deadline of December 2019 for at least 60% of the African countries to have implemented the requirements and attained certification to the standard. According to Vianney M. Luggya, the Manager Public Affairs at CAA, ISO certification implies that the holder has systems and processes in place that meet the needs of all interested parties in the aviation industry including statutory and regulatory requirements. The QMS certification is a demonstration that the systems and processes in place are designed based on the requirements of all interested parties in aviation. CAA plans consider risks and opportunities in the industry and this gives internal and external confidence that the QMS is based on an international standard that can be compared across the globe. Quality, Safety and Security concerns are core in aviation and industry players look at quality management certification as a demonstration of commitment to excellence.